I got asked recently, when I was teaching a summer Lightroom course at a junior college, if Lightroom was like Photoshop in that you could create layers? One student piped up with a “no.” But the correct answer is actually “yes,” you can, but in a different way. Photoshop allows you to create individual edit layers and lets you see what each layer is via a box where you can actually name the layer. If you were to click all of the layers off but one, using a little eye icon at the side of each box, you would only see the one layer you left on. Lightroom does not work in the same way. LR lets you create layers using the adjustment brush in the Develop Module (see Graphic 1). LR’s adjustment brush is very “forgiving” in that when you use it the adjustment you create is not set "in stone" as you can simply move the lever back and forth to add or delete from the adjustment, even if you come back to the photo at another time to re-edit it. After opening the adjustment brush, then clicking on the photo where you want to make an adjustment, a small black and white pin appears (see Graphic 2). This pin denotes an adjustment has been made and you can use one or more layers to make that adjustment, depending on your intent. For example, I could click on a portion of the photo then move the Exposure slider to the right to lighten a photo, then move the Clarity slider to the right to increase clarity and then move the Highlights slider to the left to decrease a highlight (see Graphic 3). 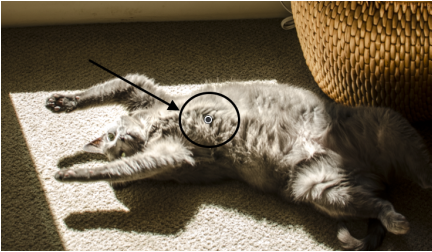 When you click on the photo and create the button a round circle appears that acts as a brush when you move it over parts of the photo. You can show a mask that will let you know where you have actually brushed within the photo (see Graphic 4). This is handy because you may need to erase something if you’ve brushed over too large of an expanse of photo. The adjustment brush allows you to make very precise, targeted corrections. But what if you want to make multiple corrections on the same photo, thus layering corrections? After you’ve made your first correction simply click on the text that says “New” at the top right of the Tool Strip adjustment brush panel and you can then create a new, separate adjustment layer. It's good to hit the Effect text twice to set all sliders to 0 again. Each time you create a new adjustment brush layer a new pin will be created in your photo. You can create as many adjustment pins as you need. 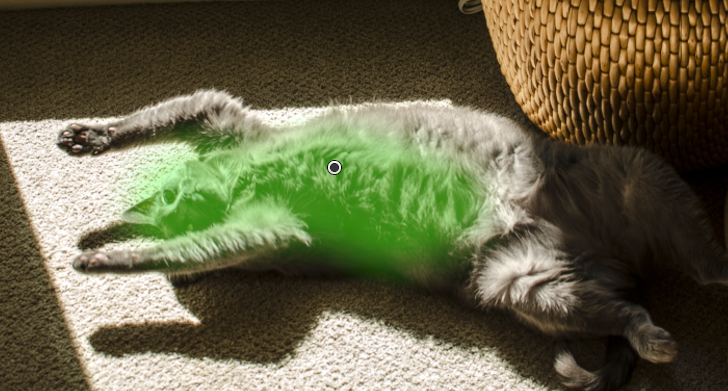 If you leave the setting at the bottom left of the window that says “Show Edit Pins:” set to Auto, each time you brush over one of the pins the area that “belongs” to that pin will temporarily show a color mask. Tools>Adjustment Mask Overlay from the Menu bar allows you to set a color of your choice (possibilities are red, green, white and black) to the mask. If you want to see the mask once you’ve brushed over a photo hit the “o” (the letter not the number) key and the mask will show up or go away depending on if it’s off or on, the key is a toggle switch. The active pin is always black and white, while the inactive pins are gray. If you want to re-edit a pin you need to click on it to choose it first. To delete a pin simply click on it then hit the delete key. You can also move a pin by clicking on it, continuing to hold the mouse down and then moving the pin to wherever you want it to be placed in the photo. To delete a portion of the area that you’ve brushed in, click on Erase at the bottom of the adjustment brush panel and the round circle will show a minus sign, just brush away the adjustment as needed; you would most likely want the mask to show as you do this minus adjustment. You can also hold down the option/alt key after clicking on a pin and the minus brush will show up but you will need to hold the option/alt key the entire time you make the correction. There is more to the story, as the saying goes, but I’ll leave that for another time. This should get you started in using the LR adjustment brush as a layering tool.